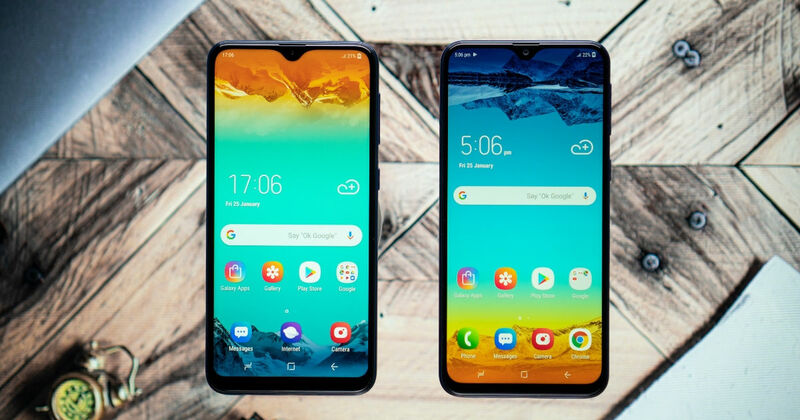 After introducing the new M-series models – Galaxy M10 and Galaxy M20 in India – Samsung is now preparing to launch its third device, Galaxy M30, in addition to the lineup. Recently, a new leak for the Galaxy M30 specifications has surfaced on the internet, revealing the specifications of the upcoming smartphone. According to a tweet by a SlashLeaks contributor, the Samsung Galaxy M30 would flaunt a 6.38-inch full-HD+ (1,080 x 2,220 pixels) display. The smartphone would reportedly be powered by the Samsung Exynos 7904 processor, which powers Galaxy M20 too. It is also claimed to offer 4GB of RAM and 64GB onboard internal storage, with support for microSD cards. In terms of optics, the Samsung Galaxy M30 is said to sport a triple camera setup with 13-megapixel (f/1.9) primary sensor and two 5-megapixel (f/2.2) shooters. And, there would be a 16-megapixel selfie camera with f/2.0 aperture in the front. As per the tweet, the Samsung Galaxy M30 would arrive with a 5,000mAh battery, the same as Galaxy M20. The smartphone would measure 159 x 75.1 x 8.4mm, and the weight claimed to be 175 grams. It would come in two colour options, Blue and Black, with gradient finish. The only missing bit now is the Galaxy M30 price in India. These are pretty much the same as what we got in early January.